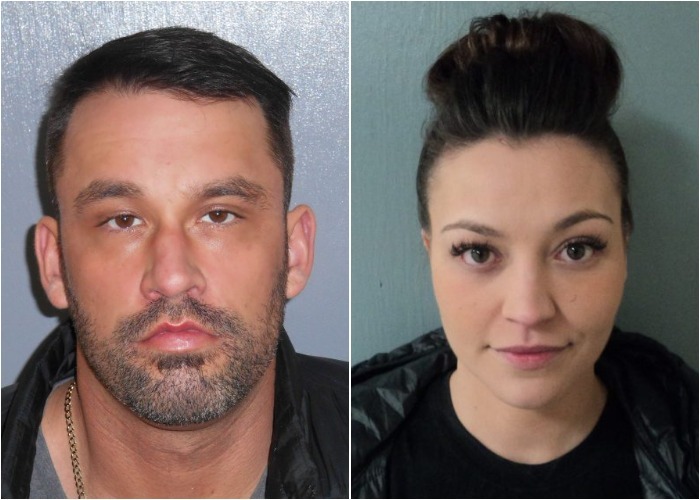 Brandon Ross and Danielle Jones are accused of spiriting the 2 pit bulls out of state to avoid a euthanasia order that was upheld by the Maine Supreme Court. AUGUSTA — A Winslow man and woman have both pleaded not guilty to a charge of failing to comply with an order to euthanize two pit bulls deemed dangerous by the courts and instead hide them from the state. Brandon Ross, 33, entered the plea Monday at the Capital Judicial Center in front of Judge Eric Walker, the same judge who had ordered the two pit bulls destroyed following a bench trial in which Ross’ girlfriend, Danielle Jones, was found guilty of keeping dangerous dogs. Jones pleaded not guilty by mail last week to the same charge of failing to comply with a court order, so she did not appear in court Monday. Jones’ pit bulls, Bentley and Kole, killed a dog and seriously injured a woman on Aug. 30, 2016, on Lucille Avenue in Winslow. In video of the attack obtained by police from Jones’ home, Sharron Carey can be seen walking around 12:40 p.m. with her Boston terrier, Fergie Rose. Two pit bulls sprint across the front yard and to the road from behind Jones’ home, mauling the small dog as Carey tries to fight them off with her hands. The dogs then attacked Carey, seriously injuring her. “The dog’s dead — oh, my God,” a 911 caller and witness who reported the attack is heard saying in a separate police audio tape from that day that was played at trial in October 2017. At the time of the couple was charged, Waterville Police Chief Joseph Massey said police followed a trail of text messages and phone numbers to determine that Jones went to New Jersey after she took the dogs for a walk Oct. 24, 2017, outside the Humane Society Waterville Area on Webb Road in Waterville. The walk came just after the Maine Supreme Judicial Court had upheld Walker’s decision to order the dogs euthanized. Jones told shelter officials at the time that the dogs slipped their leashes and ran off into the woods, but police did not buy her story. Police have been looking for the pit bulls since then. 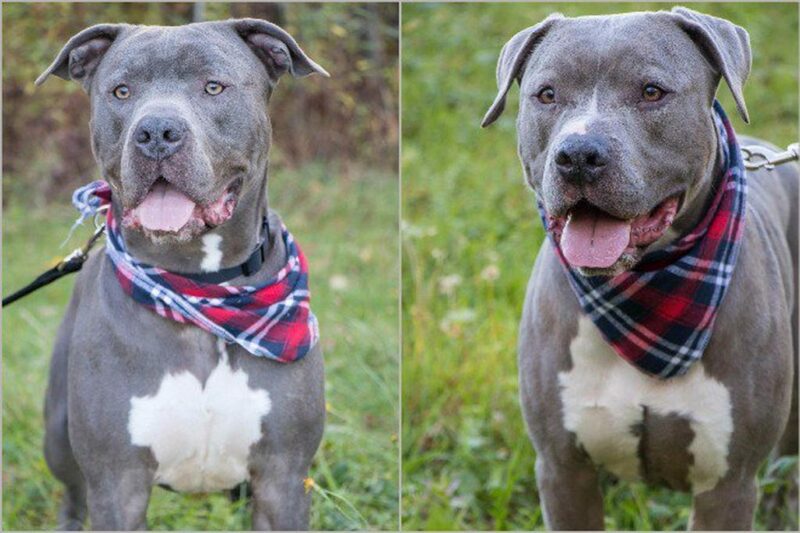 Among the evidence police say they have against Jones and Ross are phone records and text messages illustrating a concerted effort to hide the pit bulls and then take them to New Jersey to an animal adoption agency Jones had called several times. She made or received more than 90 calls the day the dogs disappeared, police say. Bail conditions were identical for both defendants: $2,000 cash, a prohibition on leaving the state and on acquiring new dogs. However, they are permitted to have contact with dogs at their dog-grooming business, The Muddy Paw. The next hearing for Ross is set for May 10. The charge is a Class D misdemeanor, carrying a maximum penalty of 364 days in jail. Hess said the ban on out-of-state travel prevented Ross from using already purchased airline tickets to see relatives at Christmas. Hess called the bail “excessive and not at all necessary to effectuate the purpose of the bail code.” He also said it’s been six months from the time the charge was lodged. “They’re concerned my clients may be moving dogs around,” he added. He suggested $500 cash bail. The prosecutor, Deputy District Attorney Paul Cavanaugh, objected to any change, saying the dogs disappeared within a few minutes of the ruling in the appeal. “We believe he was the principal actor and assisted Ms. Jones,” Cavanaugh said. Ross’s case was taken first on Monday and watched by a courtroom full of defendants in other cases and also filmed by a television station. The case has attracted a great deal of interest. Richard Rosenthal, a Queens, New York-based attorney who calls himself the “dog lawyer” on his website, argued on behalf of Jones when the Maine Supreme Judicial Court held oral arguments in the case. Rosenthal maintained that the dangerous-dog prosecution is quasi-criminal in nature rather than simply civil because it was “brought by police, prosecuted by the district attorney’s office and it deals with a forfeiture.” He said Jones should have had a jury trial at which the state would have been required to prove “beyond a reasonable doubt” that the dogs were dangerous. He also argued that it was unclear which dog actually inflicted the fatal injuries on Fergie Rose. At that hearing, Supreme Court Associate Justice Andrew Mead noted that forfeiting dogs to the state was different from forfeiting a piece of property, such as a boat or motorcycle. “Dogs are members of the family,” Mead said. In a separate case, another dog under a court-ordered death sentence was spared after the attorneys worked out a deal to have the animal placed at a boarding kennel at a veterinary hospital and have a canine behavior expert brought in as a trainer. The animal, Dakota, killed one dog in Waterville and then months later seriously injured another dog owned by the same family. The case drew the attention of Gov. Paul LePage, who issued a documented “pardon” to Dakota in March 2017. It was appealed to the Maine Supreme Judicial Court and raised questions about the appropriate punishment for dogs deemed dangerous; however, the settlement, which was approved by a judge, ended that appeal.